بني في 1970, Garden Island Resort هو ميزة مُضافة لـ تافيونى و خيار ذكي للمسافرين. يحظى هذا الفندق ذو 3.5 نجمات بمكان ممتاز يسمح بالوصول إلى المعالم السياحية الأكبر في المدينة، فهو يبعد مسافة عن صخب المدينة. يوفر الفندق بفضل موقعة الجيد وصولاً سهلاً إلى أهم معالم المدينة.
. إن الخدمات التي يقدمها Garden Island Resort تضمن للنزلاء إقامة مريحة. تتضمن الميزات الرئيسية في هذا الفندق: مجهز لذوي الإحتياجات الخاصة, مرافق مخصصة لذوي الاحتياجات الخاصة, تسجيل وصول/خروج سريع, واي فاي في المناطق العامة, صف السيارات. لقد جهزت هذه الإقامة الفندقية بعناية فائقة لتوفر مستوى عالي من الراحة. في بعض الغرف يجد النزيل تلفزيون بشاشة مسطحة, غرف لغير المدخنين, مكيف هواء, مكتب, ميني بار. كما أن مجموعة الخدمات الواسعة الموجودة في الفندق لضمان راحتك تترك لك الكثير من الخيارات لقضاء وقتك أثناء فترة إقامتك. مهما كانت أسبابك لزيارة تافيونى، فإن Garden Island Resort هو الخيار الأفضل لإقامة مثيرة وممتعة. سيتم تطبيق رسوم إضافية مقابل انتقالات المطار. وعلى النزلاء الاتصال بالفندق لترتيب الانتقالات، وسيُطلب منهم أيضًا تفاصيل رحلة الطيران. This place is dated and you can probably get better and cheaper digs just down the road. The only saving grace (typical of the rest of Fiji) is the hospitality. Unfortunately, the place just wasn't clean, restaurant food (including breakfast) needs improving, both in terms of quality, price and variety. The toilet wasn't cleaned when we got there (and throughout the stay) and this was the only place we got seriously bitten by bugs. 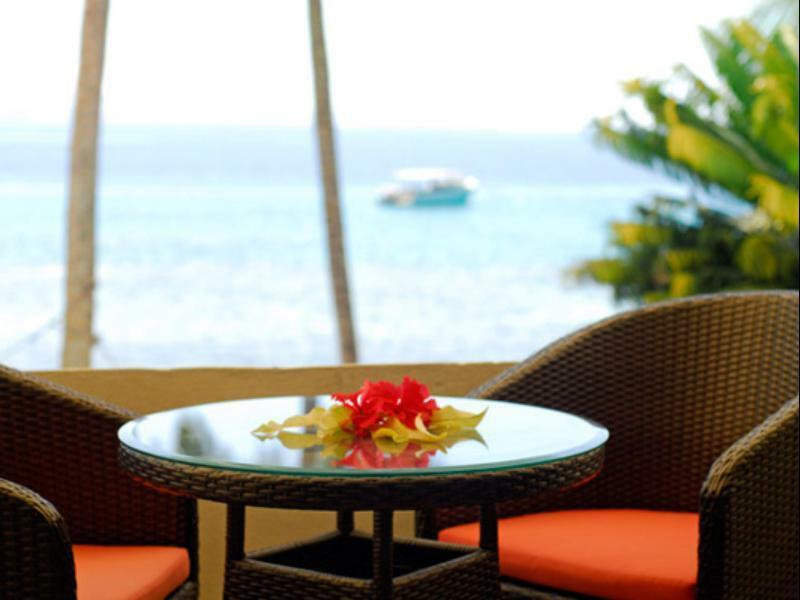 The Garden Island resort is a beautiful spot to stay with wonderful rooms, facilities and the BEST staff. So helpful and friendly. Great food, great service and dining options for everyone. A half hour from the airport and next door to a Dive facility. Spa services available too. We loved our time here. Vinaka! Delicious food, friendly staff, & wonderfully close to the Rainbow Reef. We loved our time at the Garden Island Resort! Love this hotel and especially the staff. They were most helpful and kind in all matters. Will definitely return. Everything and everyone was amazing except for the manager of the dive shop ( Uha ) he was not accommodating and didn’t seem to take his job seriously. In the 5 days I spent at the resort I dove 3 of them. Uha led the first dive trip and I was unimpressed with both his choice of dive sites due to strong currents along with the profile of the dives. They weren’t very enjoyable dives. Apon arrival a friend and I tried to do a night dive and were disappointed by his lame excuses for not wanting to take us out. So we signed up to dive the following day, we showed up in the morning and he didn’t have any tanks filled and claimed there was problems with the compressor. So we weren’t able to dive that morning either.It appeared he was more interested in hanging out with his girlfriend than running a dive shop. Leo and Joe on the other hand are fantastic and I would highly recommend diving with them leading the dives. Leo has been diving the area for over 25 years and is very experienced. you will probably disappoint this resort. there's nothing to recommend. if you go taveuni, i hope you have to go another resort. room was not clean, service was not good as well. also, I've never seen terrible breakfast. there's only 1 muffin, papaya, watermelon and pine apple you can eat for breakfast. if you want some eggs, you have to pay. i totally remember what foods are provided us for breakfast. also, if you don't have adapter, you have to pay it. most resort just borrow us it, but here is different. you have to pay all things to do, eat, enjoy whatever. I spent one week in this resort which I chose spontaneously because the price was stated as 77% less than it is usually is. For approx. Eur 75.00 per night (double room / single occupancy with breakfast) it was perfectly ok. But I wonder who would be willing to pay the normal price? 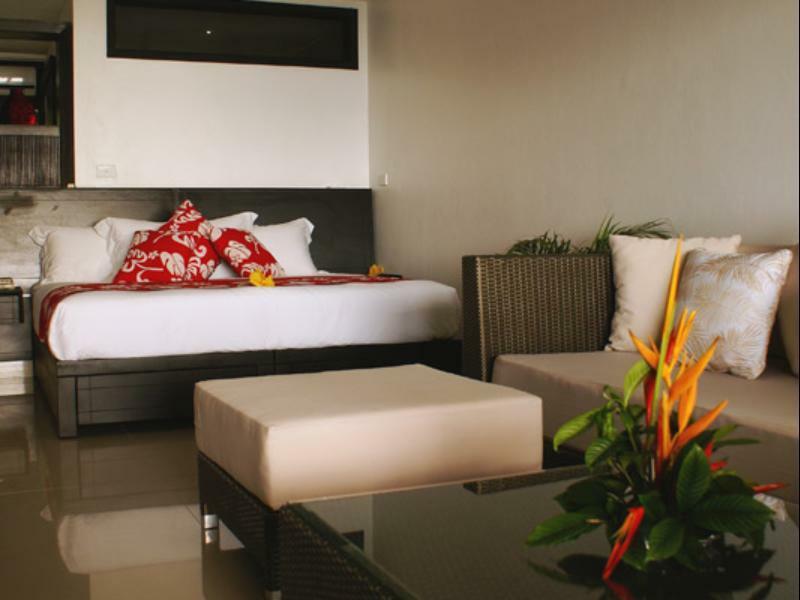 The rooms are clean and modern and the personnel is wonderful and very friendly (just as people usually are everywhere on Fiji), but otherwise there is nothing special about the hotel. It is situated on the main road, there is no beach, and lying on the pool you always hear the buzzing of the nearby power generator. If I had to choose again I would look for some other place to stay situated in a more picturesque part of Taveuni. A little resort where most people met on a diving trip, and remained friends during the stay. Small enough for a friendship to develop yet has everything you need. The ocean was 14 steps from my room and the ocean could be heard gently caressing the coral shore night and day. I would recommend coral shoes because of the beach coral. Much enjoyed. Thank you Garden Island Resort. Located ideally for diving rainbow reef, the resort has dive shop right next to it. The resort is simple, but clean and the stuff is awesome! Firstly, The resort staffs treat Asian guest unfairly just because some Asian don't speak English very well and the employees tried to put the blame on guest when it was apparently their mistake! A Resort Strongly Not Recommended To Asian Guests!! Secondly, management was terrible as e-mails which include confirmation details & number were not replied on time and it resulted in guests coming without confirmation number. However, it seemed management do not care about their customer relation or maybe the management is just too lazy to do such a simple task. When complaints were made by guests they blame it on guests themselves ....this is totally not acceptable! Where is the motto for hospitality " Guests are always right"? YOU don't blame your fault on guests! Lastly, the prices listed on website are not true! You give authentic information to customers! Dont use fake prices to set up a trap for customers! Everyone beware of the price traps as they will ask you to pay extra on the day you check-in. Make sure to confirm whether the prices are tax-included or not. Hope this review is helpful for those planning to have holiday there.Taveuni is a beautiful place but there is just a group of negligent, cunning and unjust people who screwed up my travel experience. TV not working and no radio or dvd player as stated in Agoda brouchure. Only one towel provided for 2 of us which did not get changed despite reminding staff. Old used soap provided instead of a new one. Location is excellent. They charged$14 Fijian for the internet per 24 hours, we checked in at 12:00 and they disconnected at 9:00am the next day not quite 24 hours. The internet was not very good it took me at least half an hour to post our pictures that we took. We stayed for 2 nights and when we checked out they wanted to charge me 3 nights for the internet. The staff quickly took the other 2 days off the bill( i just had to mention it). The first night we had pizza it was very good. The second night we joined the Lovo, it wasn't the best meal i have ever had. Never got the dessert. The continental breakfast was good. I original booked as one person, the charge for my wife was an extra $60 American per night for her, i thought this was a little high. The manager was very friendly and helpful. The water used to fill the hot tub appeared to be a little discoloured. Excellent. If you want a quiet friendly place to relax, this is the place to stay. We spent one of our unforgettable holiday. My husband and I are very grateful for warm and thoughtful service. their smile impressed us. their beautiful home attracted us. Thanks to all staff. Thanks to all staff. We will miss them, miss their smile, miss their wonderful singings voice, and we miss their beautiful home. We will meet them again.Many thanks again.